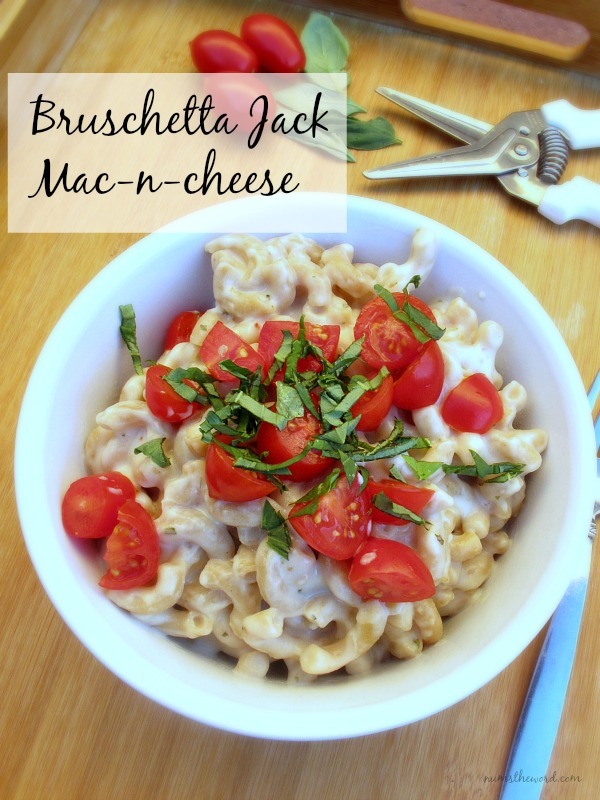 I am typically drawn toward the non-traditional when it comes to food. I’m always trying to make recipes just a little more exciting in some way. 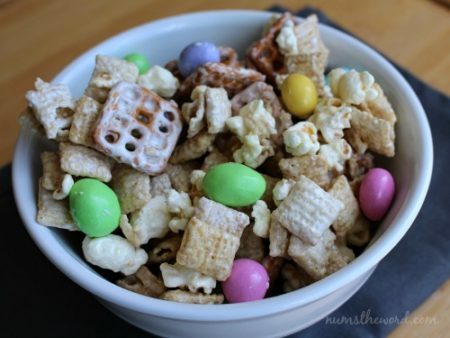 This recipe is very much like the traditional, savory type of Chex mix that has been around forever. If left to my own devices, I probably never would have tried anything like this. My husband, however, loves things like this. It’s a good thing he’s around. For more reasons than his taste in food. 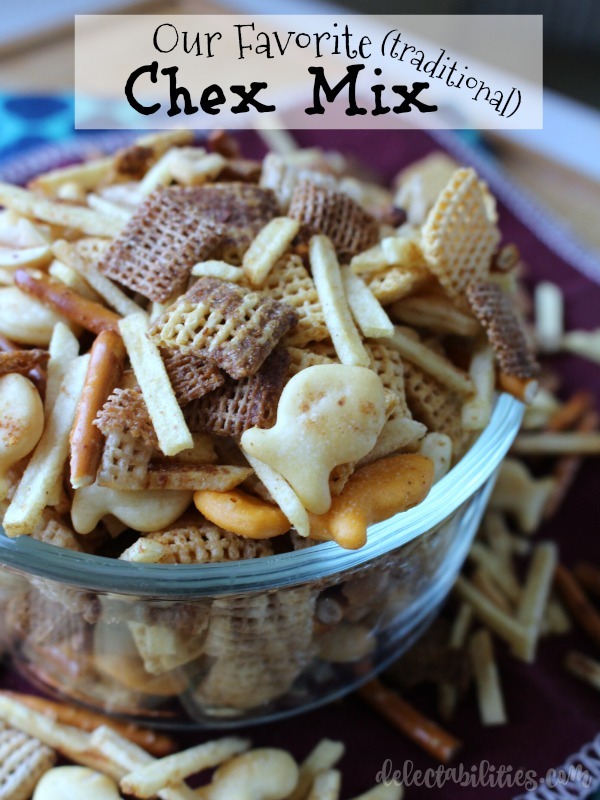 It has now become tradition to make both this Traditional Chex Mix and the Sweet and Spicy Chex Mix every holiday season (sometimes for both Thanksgiving and again for Christmas). I made the base the same for both and it just works so well. So, I double the amount of the dry, and then make half of it with this recipe and half with the Sweet and Spicy. Depending on who is around for the festivities, it disappears rather quickly. It would also be a great idea for gifts in cute little bags for the holiday, or even to take to a party. Preheat oven to 325 degrees. 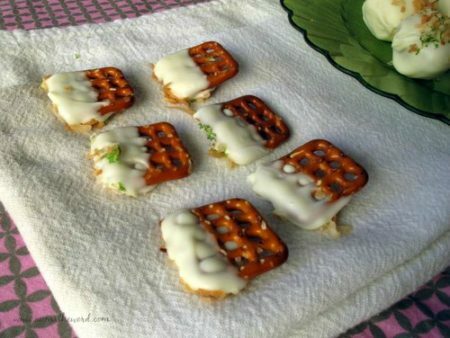 Line 2 baking sheets with parchment paper or silicone liners. 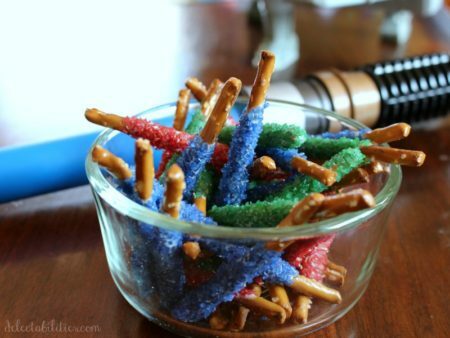 In a large bowl, mix together the cereals, crackers, potato sticks, peanuts and pretzels. Set aside. In small saucepan, melt butter with garlic salt and Worcestershire over medium low until mixed well. Pour butter mixture over the prepared cereal mixture and mix as well as you can (the wet will seem very scant, but the flavor comes through! ), and then spread onto prepared pans. Bake for about 20-22 minutes, stirring every 7-8 minutes. Allow to cool completely and keep in an air-tight container for up to 2 weeks.